Let's "face" it....our faces are likely what they will see first....best face forward, ladies! Hydrate from within and use the very BEST ingredients on your precious skin. The best ingredients, do not have to be expensive...you aren't paying for some celebrity endorsement or expensive marketing campaign here....just honest to goodness skin care! If you're going to do something for your skin and hair then Organic Skin and Hair Care Products and Natural Skin and Hair Care Products are the best choice. Luxurious & affordable natural bath, body and skin care products. Handmade in the UK by a Cosmetic Chemist with a passion for Natural Solutions. This water-activated enzyme micro-powder gently exfoliates, helping to reveal more refined, soft, luminous, and smooth skin. Over time this can reduce the appearance of fine lines, enlarged pores and help to gently remove blackheads. This natural antibacterial and antiseptic cold cream combines the essential oils of Tea tree, Grapefruit, Geranium and Lavender with skin-loving oils. This blend of essential oils are very effective in the treatment of acne, spots & blemishes while keeping the skin moisturised and soft. 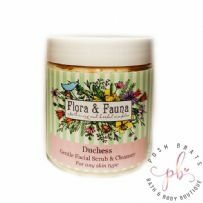 A clarifying face cream for problem/combination skin that re-balances excess oils, de-toxifies, cleans & freshens the skin. Tea Tree oil acts as a calming agent to reduce over production of sebum. Its remarkable antiseptic properties will also help to reduce the risk of skin imperfections. Lavender combines with the Tea Tree to assist in the rebalancing of sebaceous gland productivity & has a soothing effect on the skin. Your complexion will become healthier both visually & internally. We cannot say enough about this moisturizing skin gel. Light in texture, left completely natural in colour, this is just a joy to your skin! With rosehip, manuka honey and aloe vera gel it replenishes and protects oily, acne, congested, combination skin, ideal as a base for your makeup. 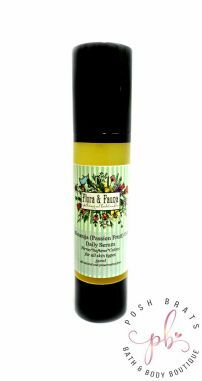 This powerful miracle oil is cold-pressed from the maracuja passion fruit, naturally rich in brightening vitamin C and replenishing essential fatty acids to nourish, protect and feed your skin. You can apply a few drops of this daily to quench dry skin and seal in hydration, as it helps calm excess sebum production on oily and acne-prone skin. You can also mix it with your foundation for enhanced moisture and anti-aging benefits with a dewy, radiant finish. 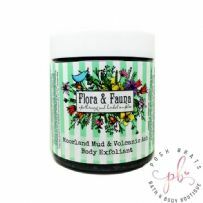 Our Moorland mud is from Hungary, while the volcanic ash element of this equation is from Iceland. We have blended these ingredients with other natural beauties such as pure raw Aloe vera gel, Marine Collagen, Olive Pomace, and essential oils of Lavender and Egyptian Geranium. Our exfoliator will scrub away dead skin cells, pore-clogging dirt and oils and allow your skin to emerge with a new softness and improved tone. 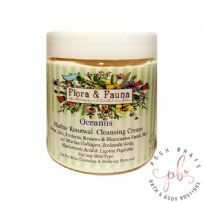 Finally a matching cleanser to enhance our very popular Oceanus Marine Renewal Skin Cream. This creamy cleanser will lather away make-up easily without stripping your skin of moisture. It works to enhance the effects of your skin cream and leaves you with beautifully soft clean skin. Silky-textured, this cream enhances skin appearance by combining Marine Collagen, Hyaluronic acid, Lupin Peptides, Icelandic Sea Kelp, Vitamin B3 and more, to moisturise and repair, so that lines and wrinkles are minimised. It brings the epidermis the nourishing elements necessary to help slow down the ageing process and repair damaged skin. It softens fine lines and delivers a youthful look, while enhancing moisture within epidermal layers. All of the cooling and soothing properties of peppermint, combine with the acne fighting tea tree and lavender, and mildly astringent juniper will increase blood circulation and promote skin healing. 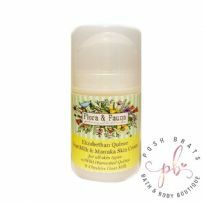 This is a gorgeous rich moisture cream without being too heavy or oily, perfect for daily use. Formulated from an actual 18th century recipe; this cold cream was brought into the Regency era by the prolific use of floral essences popular in that period....mainly Damask, Floribunda, and Tea Rose. 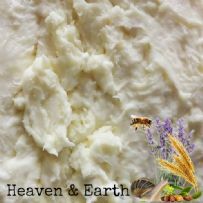 We have also added a shade of Gardenia butter and real pulverized pearl and silk powders. Cold cream was a staple in every lady's toilette right up until the 1960's when it fell out of fashion. There is a reason why cold cream was a beauty staple right from the 11th century when it was invented by Greek physician Galen.....It works!! This cold cream is good for any skin type. Give your daily routine a confidence boost with this lightweight make-up primer. Creating the ideal base in a single application. Selfie Queen Insta-Perfect Skin Smoothing Primer offers immediate tighter and firmer skin that feels silky smooth whilst instantly erasing fine lines and wrinkles. A deliciously decadent salve made from a traditional 15th century blend of floral essences in use by the ladies of the aristocracy. This can be used anywhere on the body but the face as it's too rich and heavy for facial skin. White Dragon Balm is an ancient Chinese formulation that has been used successively for many years, it helps to calm and relax whilst helping to soothe the mind and body in a quick and simple application. Effective in relieving headaches, nausea,dizziness, stuffy nose, insects bites, itchiness, muscular aches and pains, sprains, gas pains and flatulence. This has been formulated specifically for those that suffer with various and serious forms of dermatitis, eczema, psoriasis and skin that has been damaged by radiation therapy, burns and on-going skin complaints. 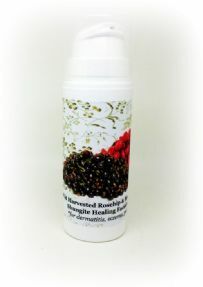 This is serious all-natural treatment for conditions that can be made worse by many traditional treatments. The consistency is a medium viscosity cream that is designed to absorb into the delicate facial skin faster.